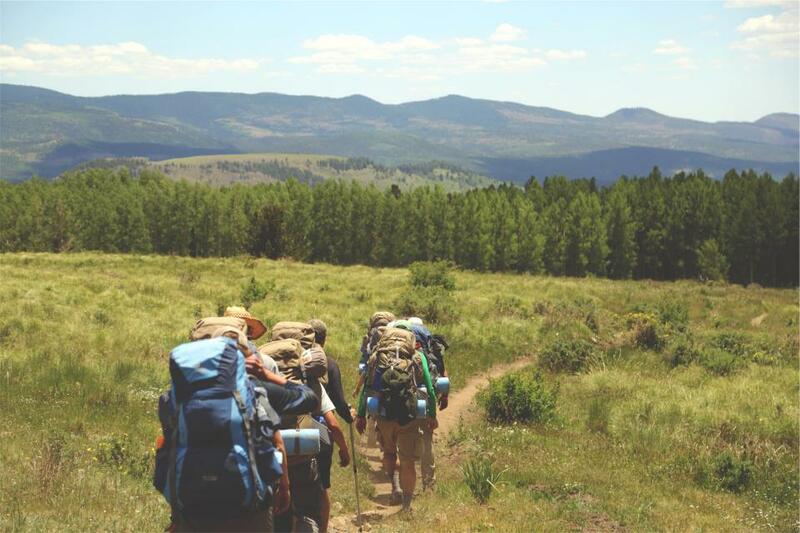 Many think twice about venturing off on a backpacking journey, but it can be too demanding with backaches and blisters, discomfort and flavorless food–rather than a journey to offload and unwind. The loads never seem to lighten–there are risks of injury and steep slopes and the knots of the why not’s while basics keep adding up.Think again. There is a never-ending list of the benefits of reaching a Zen state, living in the moment and getting lost in mindless motion. Life is basic. Once you get in tune with your body, senses heighten, and there is the wonder at every turn. Your existence is reduced to essentials of shelter, water, and food. You go on with just what you need. The physical fatigue reaches climaxes of accomplishment. Success is defined by miles reached. Worries subside to a peaceful acceptance sparking off just optimism. Ready to venture off backpacking? When preparing for a trip it’s common to overload with what they think will be essential for the trip like matching shoes for each day theme and handbags for bits and pieces. At the end of the day, they realize they permanently use just flip-flops and carry money in pockets. It is best to rather pack to the minimal and get everything you may need along the way, when and if you need it. How much time are you planning for the trip? How many miles do you plan to hike per day? What level of elevations will be possible? Analyze the weather and season to work out dusk and dawn times and forecasts of storms in weather reports. Look at the logistic of the trail you take and make sure that the day is coordinated to reach you back to camp in time. This trail is located in Washington State is a 93-mile loop that can take about a week or two. The magnetizing feature is the summit standing at 14,410-feet. The active, yet slumbering volcano rises up above the rain clouds like an island in the sky. The evergreen pathways to the top range from standard slogging up Disappointment Cleaver to alpine ascents up the Liberty ridge. It encompasses more than the peak, the ninety-three-mile wonderland trail is around the mountain and is an unforgettable national park backpacking trip. The wilderness explored is different from crevasses and snow fields. Meadows of a green world in a décor of wildflowers, herds of elk, occasional black bear and the iconic peak, a sentinel of rock and snow in the skyline. Experience the glowing sunset at the Golden Lakes site with the chain of lakes reflecting the sun. Located in California, Yosemite is famous for the big wall climbing. The trail can take two to five days. The climbing culture has been integrated into the park. Centered on the Yosemite valley cliffs, the park protects the tracts of Sierra. This backpacking trip initiates from Tuolumne Meadows climbing onto the granite backbone, pausing at lakes and venturing to giant pine stands before heading to the valley. There are stunning views of the half dome. You will need approximately one to two weeks for this 68-mile trail in Wyoming, Montana. It is a remote region of the Yellowstone National Park. It is the furthest from dirt or paved roads and be sure to see wildlife in the crown jewel of backpackers. Located in Oregon Mt. Hood offers scenery to inflate many hearts. Through Alpine meadows and the 11240 peak, it can easily be tackled along the Hogsback route. It is perfect for people in first stages of mountaineering as it is gradual. There are options for experienced mountaineers as well. A worthy destination along granite pinnacles, pine stands that are sky high and colorful badlands. There is a 12-mile option through French Creek Natural area. There is e a 3-mile option with Little Devils tower at 6971 feet, and granite studded scenery with pine slopes. Located in Washington State it is 20 miles from Rialto beach and Lake Ozette. The trail takes about 2 to 4 days. An incredible ecosystem range that starts at the Pacific edge and rises up to high Alpine glaciers of Mount Olympus at 7980 feet. It is the best backpacking beach trip in the USA. It is not a sunbathing spot. It is primordial with tree trunks on a rocky shore and the breaks against the shipwrecks off the beach. The tide pools are like natural aquariums that offer close views of bristle stars, crabs and close ups of anemones thriving in this border zone. Keep note of the tide table as tides do come in at quick rates and may close off sections. Located in North Carolina, Tennessee this is a 28-mile loop and takes 4 days. The great Smoky National park follows an ancient mountain range along Tennessee borders. It is a paradise of mountaintops and hidden valleys together with panoramas that include the Clingmans dome at 6643 feet. This is the highest point east of Mississippi. The park is transected by the Appalachian Trail white blazes; There is a diverse microclimate range and it is at UNESCO World Heritage site. There are countless backpacking options. Mount Sterling at 5842 feet is a good location to experience the Smoky mountains beneath. There is a 60-foot fire tower for a higher climb as well. Located in Utah, the maze in canyonland is about 20 to 80-mile loops and can take between 3 to 12 days.The Canyonlands National Park is chaotic. The labyrinth of red-rock canyons is quite difficult to navigate and it finds water.The steep cliffs, trailheads that are difficult to reach makes this a must do for adventure and wilderness lovers. The Colorado River runs along the border of the Maze. Located in California, this 32-mile loop takes about 3 to five days. It is a desert region. The 3.4 million acres Mojave preserve has the lowest point of elevation on the continent. It is 282 feet below sea level; at the Badwater basin. Exploring remote canyons this adventure is a trip of ancient rocks. There are wild horse herds and cotton woods. Death Valley a desert park that was revived , represents a refreshing attitude towards a landscape that was thought of as not worth saving. Located in Alaska, the 30-mile trip will require an air shuttle and takes 7 days. Deep in Brooks range, the Arctic national park has no trails or roads. The place belongs to wildlife.There are brown bears that scavenge, wolves hunting down the game, and herds of sheep in the highlands together with romantic migrations of the caribou. It is about 150 miles from the closest village. Backpackers can immerse in timelessly and are guaranteed to witness the wildlife in Alaska.